Second part of Frank Scheffer’s tetralogy on the disappearance of musical traditions in the world, “Inner Landscape” follows Guo Wenjing, who wants to recreate the famous Sichuan opera “Si Fan”, Dutch conductor Ed Spanjaard, who wants to create an amalgam of western and Chinese opera with Guo, and opera singer Shen Tiemei, who is the protagonist of the play. In that fashion, the documentary unfolds in three paths. The first regards the Sichuan opera, the second the concept of the local opera troupes who seem to disappear as time passes, mostly due to financial issues, and the third, the mixing of Eastern and Western music. The first and third arc focus on the concept of differentiation, as we learn of the differences not only between east and west, as for example, the placement of the voice towards the crown rather than around the mouth and nose, but also on the differences of the various operas in China, which even stretch to the way music is written and read, and the differences between tradition and modernity. At the same time, we learn of the history of “Si Fan”, various customs and tendencies regarding Chinese opera, as much as its history in China. This “tale” unfolds between minimalistic but impressive images of mountains and dark alleys, which seem to fit the narrative quite nicely, while providing well-placed breaks from the dialogues and the music. Melle van Essen, Joewi Verhoeven, Benito Strangio, Jean Cournet and Frank Scheffer’s cinematography finds its apogee in these sequences, along with the ones focusing on Shen Tiemei, whose natural “theatricality” is a treat to watch. Menno Boerema, Theo Raben, Jos Driessen and Frank Scheffer’s editing also works quite well in that regard, with them connecting the different footage in a way that allows the film to proceed smoothly, although in a relative slow pace. The interaction of the musicians is probably the most entertaining aspect of the documentary, with the differences in culture and actual practices being highlighted in the most amusing way, as in the scene were Spanjaard learns that he has to follow the Chinese singers and percussionists, instead of the opposite which is the usual practice in Western opera. And while the composition of the music and the mixture of the two styles communicate a rather hopeful message that collaboration between radically different styles can happen, the exact opposite applies to the rural local troupes, as a sense of melancholy permeates their part, finding its apogee in the finale. Through all the aforementioned, Scheffer communicates a rather eloquent message, that since tradition and the past as a concept seem to disappear for the sake of progress, collaborations, fusions and any kind of mixture that results in something new is the way to go, particularly regarding art and music. 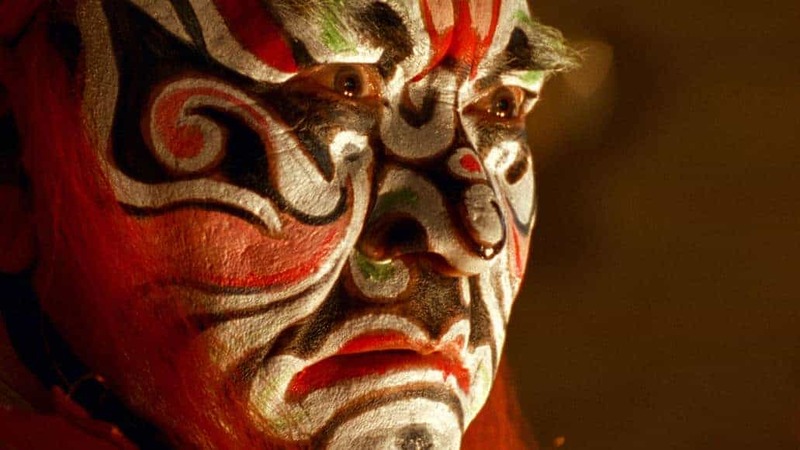 Evidently, “Inner Landscape” is a documentary mostly addressed to musicians, while a degree of tolerance for the high-pitched voices (at least to the Western ear) of the Chinese opera is necessary for someone to enjoy the film. However, the historic elements and the presentation of the musical culture in China allow the film to interesting to a wider variety of audience, who will enjoy the presentation and the information alike.